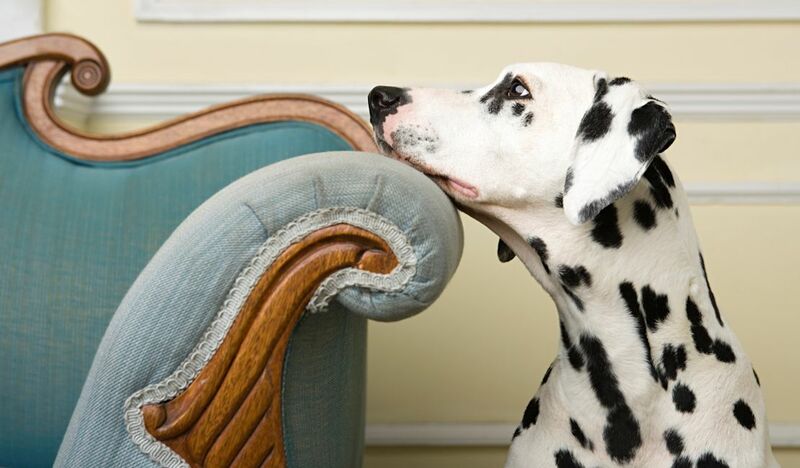 Whether or not to allow your tenants to have pets is a matter of assessing the risks to determine what’s best for you. Most owners would prefer no pets for the obvious reasons and the fact that pets cannot improve your property. At best, tenants with pets will leave the property without damage or odor. In my experience, dogs are more apt to dig in the yard, chew woodwork and scratch hardwood floors. Cats are more apt to pee on carpets (there is no known remedy to remove the odor completely). We don’t recommend saying Yes or No to pets. We suggest that you think carefully about the positives and negatives before making a decision. Allergies. If anyone in your family is allergic to cats and/or dogs and you plan to reoccupy the property, you’ll probably want to say no to pets. However, if you’re planning to replace carpet and have the ducts cleaned, that often (but not always) eliminates any problems. Age and cost of replacing carpet and refinishing flooring. Carpet, for instance, has a life expectancy of seven years for rental purposes. This should be factored in when determining if you will consider a pet and how much pet deposit to require. Yard damage. Yards that are enclosed are often very important when a tenant decides whether to rent your home, especially when they have dogs or small children. The potential problems are that grass and shrubs may be damaged. If you have spent a lot of time and money to maintain your yard, this will also factor into the amount of pet deposit required. Age, number and size of pets. Like humans, pets need lots of attention and care when they are young and old. A 10 pound St. Bernard puppy that will grow to 150 pounds presents a potentially higher risk that a 30 pound five year old “trained” dog. Kittens are more apt to urinate on carpet and flooring than a more mature cat. As pets age they are more prone to having accidents. The number of pets adds to the risk for damage. Often the size of pets can be an indicator for potential damage. In addition, condos often have pet restrictions pertaining to size and number. Is the property conducive for pets? Does it have a fenced yard or unfinished basement, for example. Is the property a condo? If it is, you must check with management to determine whether pets are allowed and if restrictions such as number, size and weight apply. After assessing all of the factors, a pet deposit can be determined to help reduce the risk in the event of damage. Virginia has no restrictions on how much you can obtain for a pet deposit. The District of Columbia only allows one month’s deposit, which has to include the pet and any other deposits. If you decide to have a no pet policy, you still must abide by the housing rights for the disabled who require an animal for assistance. Today, this goes beyond service dogs for the blind. The Fair Housing Laws now allow animals as emotional support for the clinically depressed and people with post-traumatic stress. Vs a pet deposit, can you just charge a higher monthly rate? If yes, is there a rule of thumb to how much that could be? Yes, you can charge a pet deposit as long as you disclose it. There is no rule of thumb about how much it should be. I’ve also seen anywhere from $25-$100 charged per month. “Pet Rent” is generally not refundable unless negotiated and added to the lease terms. The way you usually determine a pet deposit or additional pet rent is to assess the risk of the pet and the age and condition of the carpet and flooring. Those are usually the areas of concern. Although with dogs, tearing up the yard can be a concern.